We intentionally chose music that was written in some of the truly unique forms that were invented and refined during the baroque era. 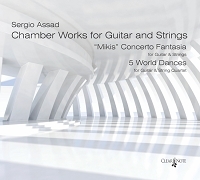 Like the canonic sonatas of Telemann and the trio sonata by Antonio Lotti for flute, guitar and cello. It may also delight you, as it did us, to find that many of the musicians whose pieces we recorded knew one another, either personally or through the music they had written. Domenico Girolamo Scarlatti (1685-1757) enjoyed some success composing operas and cantatas but is most remembered for his hundreds of keyboard sonatas. Scarlatti demonstrated virtuoso technique in these sonatas, employing numerous ornaments, rapidly repeated notes, hands crossing over one another, and wide jumps across the keyboard. Scarlatti's sonatas can be either bright and exuberant or introspective, in styles that translate well for solo guitar. Johann Sebastian Bach (1685-1750) transcribed several of his own harpsichord and violin pieces into arrangements for the baroque lute. 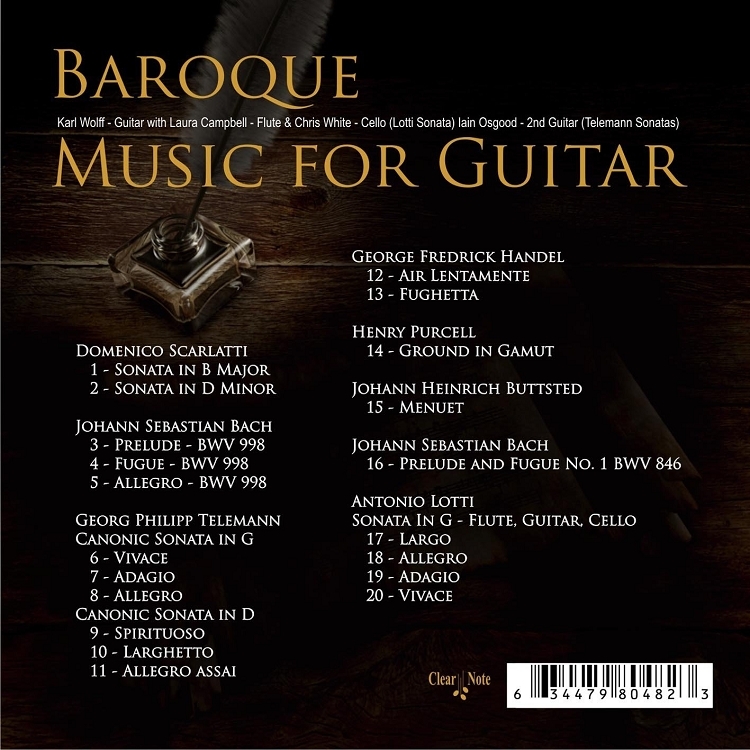 The Prelude, Fugue and allegro, BWV 998, was most likely written on a keyboard instrument, for Bach did not play the lute though he was much enamored with its sound. This three movement work may have been played by Bach on a Lautenwerk, a keyboard instrument with gut and metal strings designed to sound like a baroque lute. The twenty-four preludes and fugues from the Well Tempered Clavier represent Bach's dedlication to the establishment of tempered intonation. Adapting his instruments to this more refined tuning allowed Bach to play in any and all keys and to expand his compositions freely into larger and more complicated works. 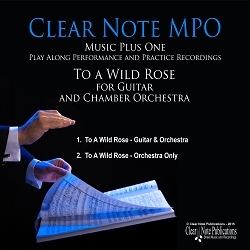 The first Prelude and Fugue from this collection is recorded here as an arrangement for solo guitar. Georg Philipp Telemann (1681-1767) ranked among the most successful composers during his lifetime. George Frederick Handel once said of Telemann that he could write a work in eight parts as easily as anyone else could write a letter. The two Canonic Sonatas presented here come from a collection entitled "Six Canons or Sonatas for two German Flutes or two Violins, Composed by Georg Philip Telemann." The title for this publication illustrates the practice of leaving some latitude in the choice of instruments, providing more opportunity for sales to the flourishing amateur Hausmusik market in Hamburg during that time. Each movement of these sonatas is a two-part canon in which both musicians play precisely the same lines, but one measure apart. George Fredrick Handel (1685-1759) It is said that with the composition of Handel's oratorio the Messiah, in 1742, that the entire baroque tradition reached its climax. It should be remembered that in Italy, from which baroque music received its principal spark and direction, the period of new concepts in baroque style had ended some ten to twenty years earlier, giving way to the style galant, and that German composers like Bach, Handel and Telemann brought the baroque era to its consummation in the northern countries of Germany and England. 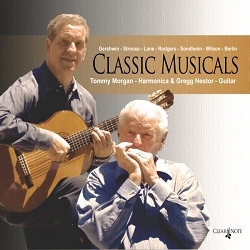 The Air Lentemente and Fughetta are transcriptions from keyboard manuscripts, played here as guitar solos. Johann Heinrich Buttsted (1666-1727), born in Bindersleben Erfurt, is famous for a paper he wrote in defense of solmization. He wrote German masses and harpsichord music including the Minuet in D minor transcribed here for guitar solo. Antonio Lotti (1667-1740) composed operas and sacred music, beginning his career in Venice as organist at St. Marks and moving to Dresden in 1717 to direct the court opera. 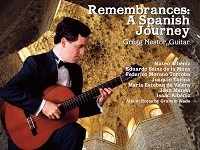 In this recording of Lotti's Sonata in G Major for flute, cello, and continuo, the guitar has taken the continuo part, an improvised chordal accompaniment that was probably first played on harpsichord by Lotti himself and which sets the rhythmic groundwork for the intertwining flute and cello melodies played by flutist Laura Campbell and cellist Chris White. Lotti's sonata is written in the form known as a trio setting of the chamber duet. 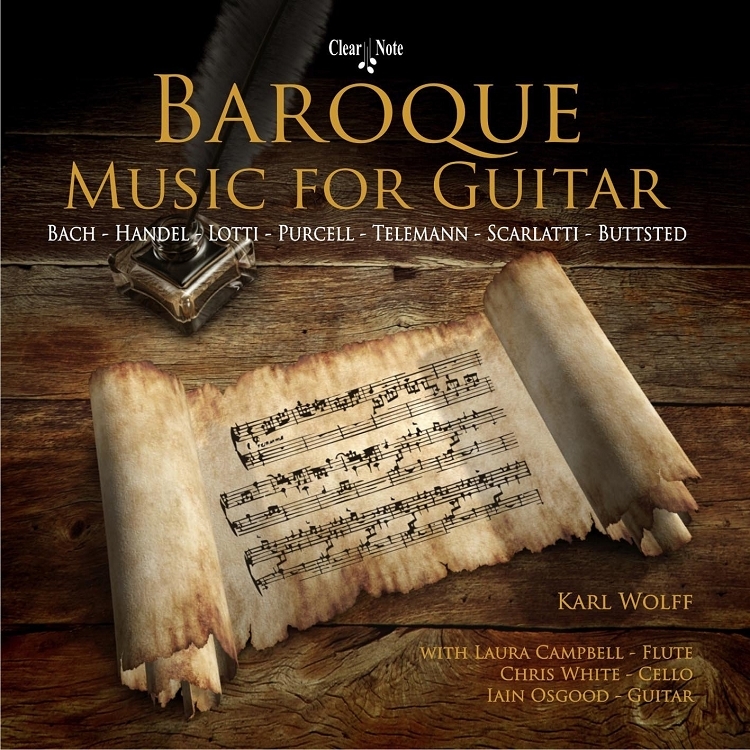 This style of writing has been described by Manfred Bukofzer in Music in the Baroque Era as "one of the happiest and most influential innovations of baroque music."